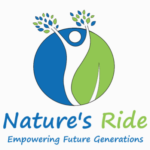 Ciclomanías is celebrating 6 years of hard work and close collaboration with Nature’s Ride, a non-profit organization providing services in environmental education. We have carried the same values of environmental protection through a combination of children’s books, music, and crafts. Ciclomanias is also an active member of Calgary Dollars Association. We are members since 2009. We accept up to 30 percent Calgary dollars in the purchase of any of our products.